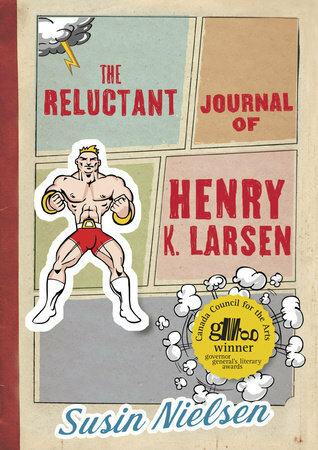 The Michigan Library Association (MLA) is pleased to announce that The Reluctant Journal of Henry K. Larsen by Susin Nielsen, published 2012 by Tundra Books, is the winner of the 2013 Thumbs Up! Award. The award will be presented at the Spring Institute 2014 Conference in Battle Creek, March 27-28, 2014. In addition to writing award-winning fiction for children and young adults, Nielsen also has a prolific career as a television screenwriter and producer. The Last Dragonslayer by Jasper Fforde, published 2012 by Houghton Mifflin Harcourt.